Is a family member or friend getting married and having a vintage themed celebration? If you’ve been invited to be a guest at a traditional-themed event you’re probably wondering what type of gift to buy. While some people will disregard the theme and simply buy a modern present, if you really want to go with the spirit of the day you should choose a vintage themed gift too. The only trouble, when choosing a vintage gift, is what sort of thing to go for. That’s why we’re here to help! We’ve done all the research so you don’t have to and come up with some brilliant ways to help your loved ones to celebrate their big day with a vintage present that they can treasure for a lifetime. 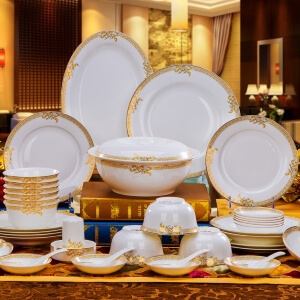 Is there anything more elegant than a traditionally designed tableware set? 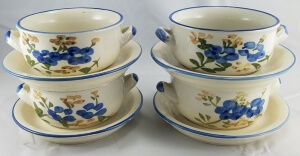 Choose a porcelain or china set of plates and bowls with classic floral hand-painted designs. Not only will you be respecting the theming of the day, but you’ll also be giving your loved ones a practical gift that will last a lifetime. In days gone by, a traditional wedding present for the happy couple would be a quilt for their bed. Women would spend months making a beautiful quilt by hand to decorate the marital bed and to bring luck to the pair, wishing them many years together (and also, of course, many children!) Although you might want to avoid actually handmaking your own quilt today (unless it’s your secret hobby!) 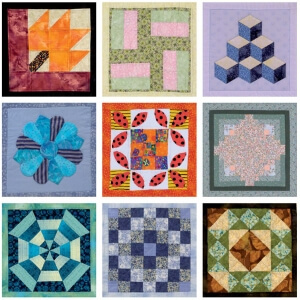 you can easily buy traditionally designed quilts both in stores and online. There are lots of lovely patterns to choose from so you’re sure to find something that suits the recipients perfectly. Again, this is a wonderfully practical gift and respects the theme of the occasion. 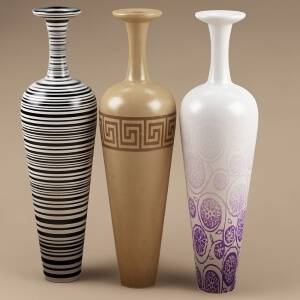 If you’re looking for something decorative to give as a wedding gift, a beautiful vase could be the perfect choice. There are lots of genuine vintage glass vases out there in antique shops that would be an ideal choice for couples who appreciate unique style or, alternatively, you could always opt for a modern replica of a traditional design. Depending on your budget, you could opt for a large standing vase or, alternative, a smaller one to sit on a dressing table or windowsill. Whichever you choose, you can be sure it’ll be appreciated. Anyone with a love of vintage theming will certainly never be able to get enough candlesticks in their lives. After all, is anything quite as atmospheric as stepping into a room decorated with flickering candles? 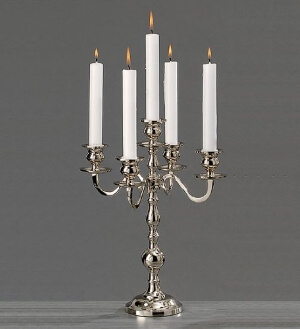 Whether for use on a mantelpiece, on a dining table or even in the bedroom, a brass or silver traditional candlestick or candelabra would be an ideal wedding gift for couples who love the finer things in life. You could either choose an authentic antique or a modern replica which captures the traditional style. If you’re attending the wedding of a traditional-loving couple who are also keen cooks, what could be better choice as a wedding gift than some classic stoneware cookware or serving bowls? Incredibly practical, your gift will always find a use, and with the long-standing durability of stoneware, you can rest assured that your friend or family member will be using your present for many years to come. Choose a traditional mixing bowl, casserole dishes or large bowls for serving salad, and, if you’re feeling flush, why not present the happy couple with a traditional linen tablecloth to decorate their table at their next dinner party to complete the picture? We know that choosing the right wedding gift is never going to be a simple task, however we hope that with these helpful suggestions you will have been inspired and obtained some helpful ideas about finding something special and heartfelt to surprise your loved ones. A wedding gift should be something unique that lasts a lifetime, and we think that the presents that we’ve suggested here perfectly fit the bill, walking that fine line between beauty and practicality that makes for a gift that will be truly appreciated.